Shopping for BoJack Horseman Pop! Vinyl Figures? The most beloved sitcom horse of the 90's is washed up and looking for a good home…with you. From the Netflix series BoJack Horseman comes a stylized vinyl figure. 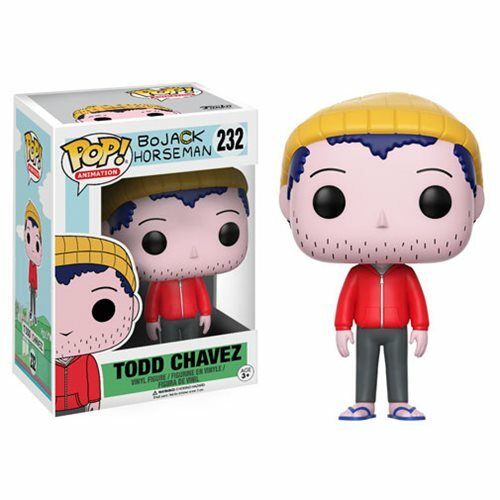 The BoJack Horseman Todd Pop! Vinyl Figure measures approximately 3 3/4-inches tall and comes packaged in a window display box. Ages 3 and up.